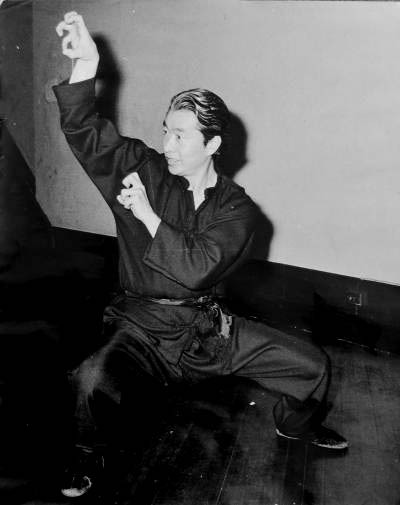 It was during the Sino Japanese War when Chan Hak Fu and a group of Kung Fu Masters made a name for themselves training an elite group of soldiers, fighting techniques with the sabre called "The cyclic-Ring-Style Sabre Slapping Skill". The sabres that were carried were smaller than usual, as the soldiers needed two to be carried that would not get in the way and at the same time allowed them to move swiftly and fight effectively. The sabre squad would strike when their enemies would least expect it, usually late at night when they were sleeping. The squad's strategic planning and combat skills were never questioned due to their success rate. In 1954 there was much debate about which Kung Fu was the best; was it Master Ng's White Crane or Master Ng Kung Ye's Tai-Chi style? 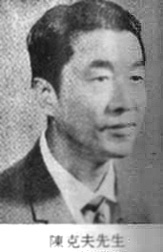 The challenge was directed to Master Ng, but instead he nominated Chan Hak Fu to fight in his place. The contest was conducted as a charity event to raise money for the Chinhu Hospital, both competitors had to sign their lives away as this type of duel could have left someone seriously injured, even resulting in death. The duel attracted much attention; thousands of spectators witnessed the duel in Macau. The fight was staged in a ring where the Masters went at it bare-knuckled for three excruciating rounds. The fight had to be stopped by the second round in order to stop someone from getting seriously hurt. The fight resulted in the decision of "no win, no lose and no draw". This was done in order to maintain the reputation and harmony of the respective schools.